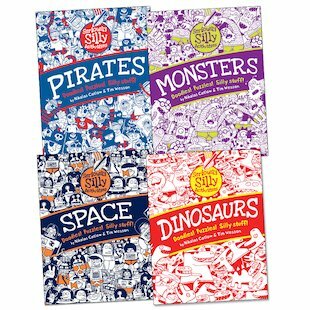 If you’re serious about being silly, this cool quartet of activity books will send you completely round the twist! 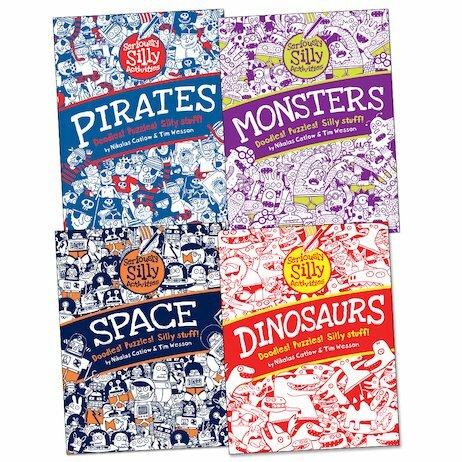 Packed with doodles, puzzles and ideas for mayhem of all sorts, they’re daft, dippy and furiously funny! Get set to shake a cutlass with perilous pirates, beat boredom into extinction with some dippy dinosaurs, go wild with a motley crew of monsters, and blast off on an alien-tastic trip to outer space. On your travels you’ll find mazes, word searches, comic strips, dot-to-dots, doodles, crosswords, sudoku, silly stories and much more, not to mention all sorts of cool and crazy antics. It’s where being silly gets serious!